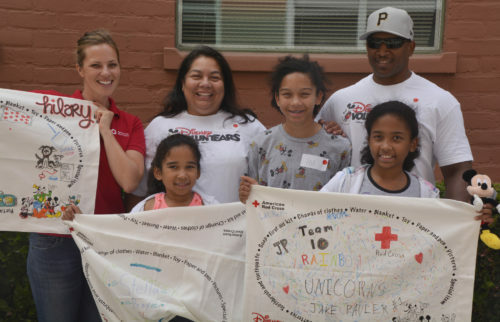 On September 16, seven Red Cross employees, volunteers, and Americorps members headed out to Disney Studios in Burbank, CA to provide life-saving emergency preparedness education to the children of Disney/ABC employees with the Disney Pillowcase project. In all, more than 100 children attended, and as parents were encouraged to stay and learn along with the group, many adults participated in the morning’s activities, too! Disney VoluntEARS were on hand to welcome the team from the Red Cross, and they assisted Disney Pillowcase Project instructors during the presentation by happily displaying hazard maps and other visual learning aids throughout. Of course, Disney VoluntEARS also interacted with the children, who were all enjoying themselves the entire time. Hilary Palotay, of the Red Cross, with Disney VoluntEARS and students, after the event. Andrea Davis speaks to ABC7 reporters during the September event. 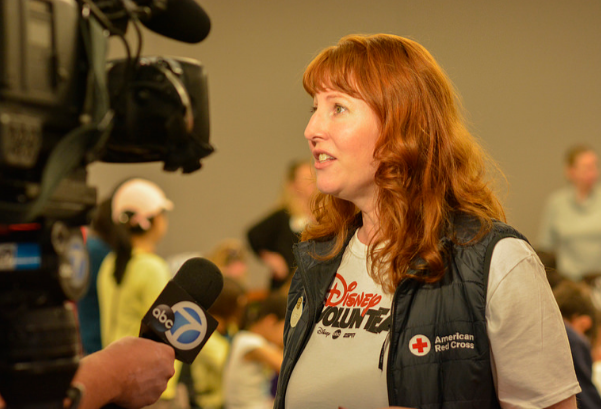 Also in attendance was Red Cross Los Angeles Region Board Chair and Director of Global Crisis Management and Business Continuity at The Walt Disney Company, Andrea Davis. The American Red Cross has always been committed to preparing students to be ready for emergencies—big or small. 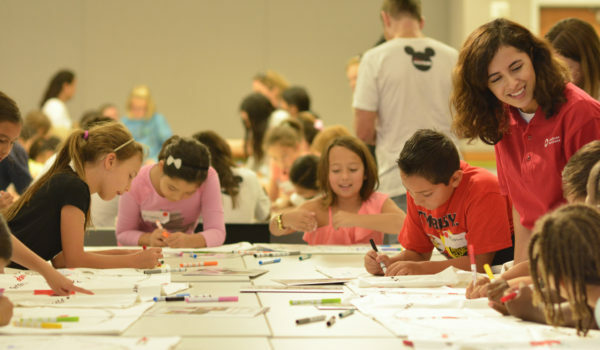 And now, thanks to a grant from The Walt Disney Company, the Red Cross has taken The Disney Pillowcase Project to children across the country, with goals of teaching coping skills to help children deal with an emergency, and providing children the tips and tools necessary to be prepared for any type of emergency or disaster.